at St. Albert's roomiest self-storage facility. With various unit sizes, we have the right space for you. Not sure how much you need? Visualize the space with our unit size guide. 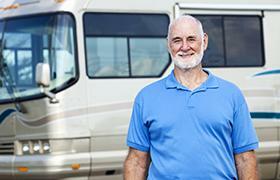 Our customers choose Riel Park RV & Mini Storage for great pricing and unbeatable service. But don't just take it from us! 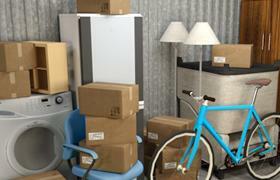 The care of your belongings is our top priority. Our cameras, secure gates, and passcodes provide you with peace of mind. Whether you wish to de-clutter your home or business, prepare for a move or renovation, or safely store your vehicle, Riel Park RV & Mini Stoarge is the solution for all your storage needs. Well-priced units and spaces to accommodate your budget. Located in downtown St. Albert and available to you year-round. Various sizes of indoor units to store your household or business items. Outdoor spaces for RVs and indoor spaces to protect your boat or car. Great customer service provided by a sincere, approachable team. Rent your unit online and move in right away, or choose a future date.